Selling with clear, strategic words is the fastest way to grow your business. Your website should be selling your business in your sleep. If it's not, you're missing out on revenue! 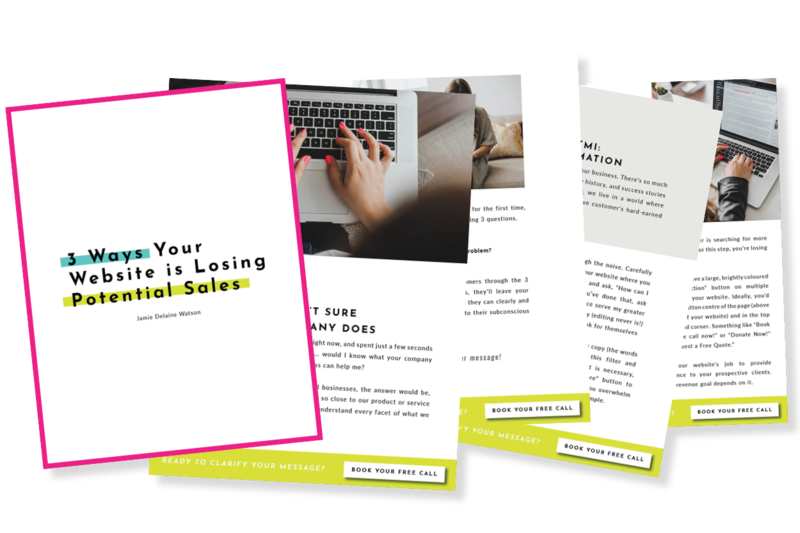 Download this FREE guide with 3 simple ideas to improve your website and see results fast! Helping businesses grow by discovering and communicating a clear marketing message.